Saturday, August 15, 2015, Dusty Hernandez-Harrison (27-0, 14 KOs) took on Nicaraguan veteran Carlos Winston Velasquez (23-21-1, 13 KOs) at Wynwood Stadium in Miami, Florida. 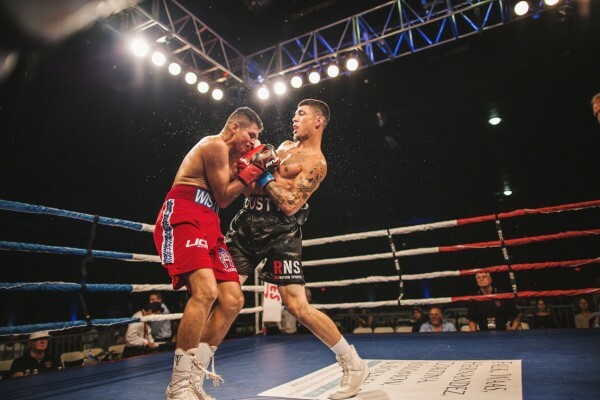 Hernandez-Harrison earned an RTD victory in Round 5, improving to 3-0 in 2015. 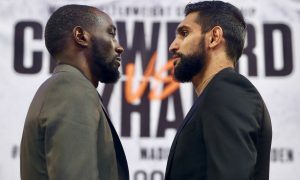 The scheduled eight-round bout was a stay busy fight for the DC native as he looks to continue to climb the Welterweight ranks. Hernandez-Harrison was happy with his performance against Velasquez and felt strong throughout the bout. “I could have gone 30 rounds. I literally only got hit one time,” said Hernandez-Harrison. A rangy and athletic Welterweight, Dusty looked stronger than he has in recent bouts and scored a knockdown of Velasquez in Round 3 with a well-timed counter right hand. As always, Dusty hopes to stay active and get right back in the ring as soon as possible. Round By Round Boxing will have more information on Dusty Hernandez-Harrison’s next bout as it becomes available.